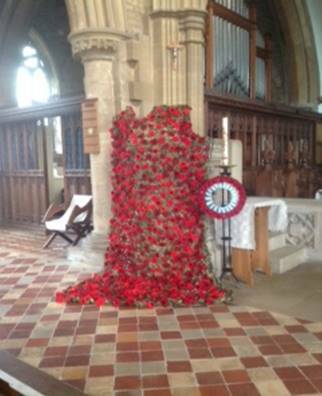 We hope everyone liked the poppy screen and wreath made by Whissendine WI members. It was in St Andrew’s church for the wonderful ‘Long Long Trial’ and of course for the Sunday morning Remembrance. The screen and wreath were then transferred to the village hall for the WI Kindness tea. The wreath will be kept by the church for use in future years.